Sometimes everything just works. The couple. The location. The light. You can never guarantee what results you will get from a photo shoot. All you can do is put yourself in a position where magic can happen and hope it does. 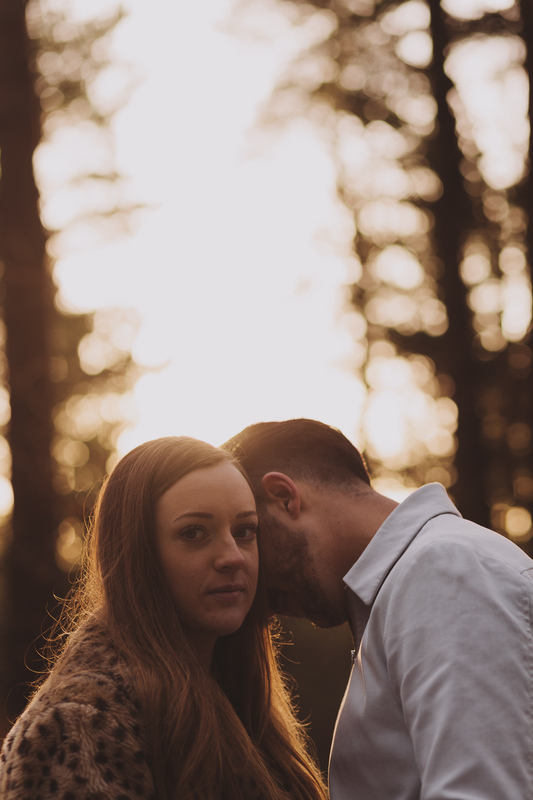 In this engagement session everything came together. Lydia and Leigh are obviously photogenic and were really up for taking creative risks. 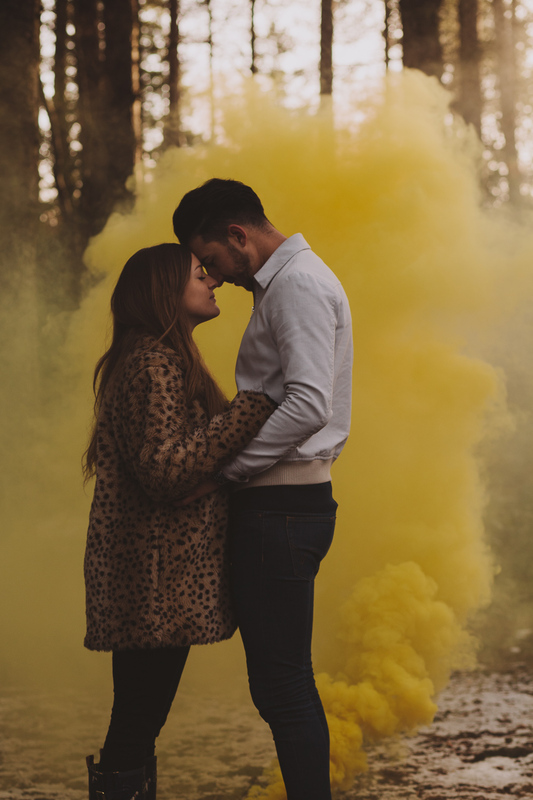 During this shoot I used prisms, smoke bombs and shot into the sun. 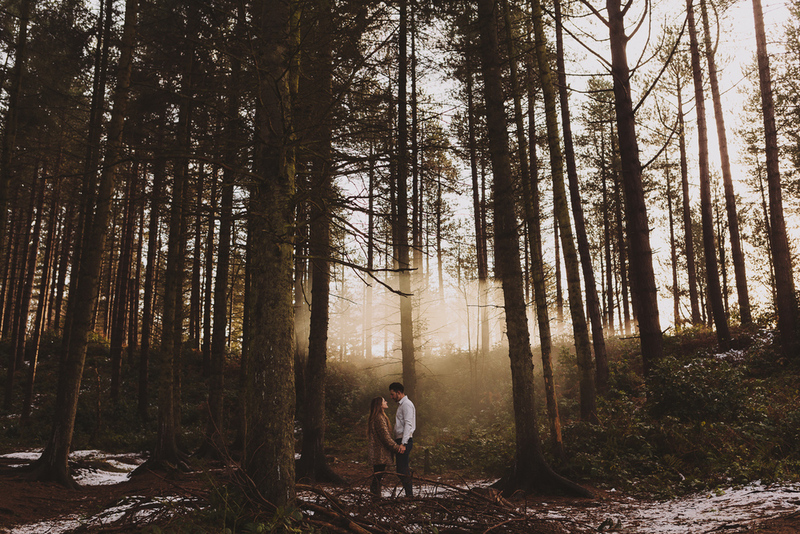 The location we chose was Chopwell Woods, a 360 hectare area of mixed woodland in Gateshead, just over the river from Newcastle upon Tyne. We all got up early in the morning, and braved the icy roads to get to the shoot for golden hour, and the light was perfect.